Could the Greek tech sector save the Greek economy? When you think of the Greek economy, it’s easy to recall news images protests, mass unemployment and hardship. But the Greek tech sector is helping to lift the country’s economic spirits. Plagued by one of the worst economic environments since the Great Depression, political uncertainty and capital controls that have stopped nearly all international payments in and out of the country, Greece’s mobile and tech companies have experienced it all. Some of these companies have not only survived but grown their businesses throughout the six years of Greece’s financial crisis, a testament to the resilience of the country’s growing mobile technology community. The good news is found in an emerging ecosystem of incubators, venture investors and university entrepreneurship programs. There are more than 1,000 startups in Greece with over half in the technology sector in a broad range of industries, from aerospace and biotech to tourism and mobile apps. The rate of company formation has increased twelve-fold since 2010. The tech sector is thriving, with a workforce of highly educated engineers and developers – many at a masters level or higher – according to Thanos Ganas, board member of the Hellenic Startup Association. They encompass both recent graduates and those laid off elsewhere due to the economic crisis. With them comes a massive startup community of hubs and co-working spaces, including Coho in Thessaloniki and Colab, The Cube, Impact Hub Athens in Athens. 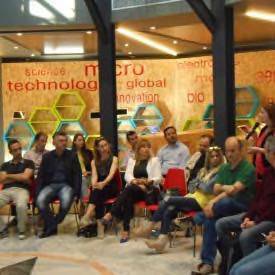 Business incubators and shared work spaces have sprung up across Greece, and conferences and forums on entrepreneurship and innovation abound alongside innovation hubs like Corallia, Start up Greece and Endeavour Greece and organisations like the Hellenic Association of Mobile Application Companies (HAMAC). 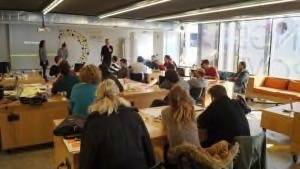 Many involve international support – like Orange Grove, a workspace for young entrepreneurs started by the Dutch embassy in Athens, together with a number of Dutch and Greek tech sector corporate sponsors, charity foundations and universities. Its aim is to address the “brain drain” and youth unemployment in Greece. It welcomes startup founders under 40. On a weekly basis, Orange Grove welcomes local and international speakers – often from the Netherlands and USA – who share their experience and expertise on a wide variety of topics. They focus on entrepreneurship, fundraising, personal skills, branding, and marketing and topics often include sales, legal issues, PR, logistics, and HR issues. I spoke to just a few of the mobile and app Greek startups represented at Mobile World Congress in Barcelona. From smartphone makers to marketing & payments, the participating companies represented the whole ecosystem of innovation and technology in the country. He explained some of the particular challenges in running a business in Greece, particularly the capital controls that limit businesses registered in Greece to only transferring up to €500 out of the country a month. Naturally, this makes it difficult for anyone running an international business or using cloud services like web hosting or Paypal. However, he said that tech startups essentially only need an apartment and a laptop, unlike other industries like manufacturing that were unable to function effectively under the capital controls. One area of success is with startups focusing on the industries that are popular in Greece already, like tourism and hospitality. 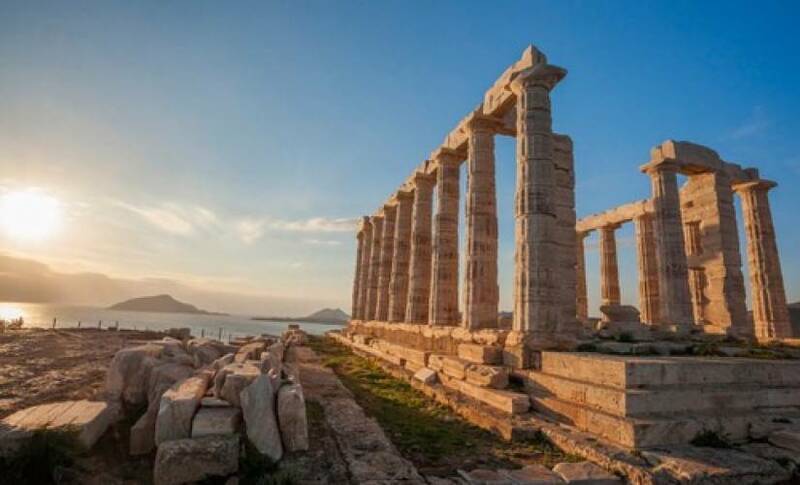 Tourism accounts for a quarter of the economy in Greece, and the country ranks as the seventh most popular destination in the world. Soft Web has created many web-to-mobile apps in the tourism and hospitality sectors and also has clients in the US, London and The Netherlands. I also spoke to Michalis Petrou, founder and creative director of Saintiago, and creator of nutrINsider, an all-in-one supermarket app, which organizes supermarket shopping through lists of products and provides nutritional advice. It also helps manufacturers to reach consumers with branded shopping offers, relevant recipes and other useful information at the point of purchase. The app was awarded “App of the Year 2015” by Infocom Mobile World and received a Silver award in the CYTA Mobile Excellence Awards 2015. Petrou has a background in advertising and was in a good position to work in retail technology. Like everywhere else, there’s a high danger of failure with startups in Greece as well,. But that a lack of other options for many people meant that they were more likely to start their own business. “You’ve literally got nothing to lose in starting a startup when there’s no work anyway,” Petrou says. With an educated and innovative workforce, and great traction with angel investors through structures like EVEA Business Angels Network and Angels Group by StartTech Ventures Incubation Fund, it’s clear that Greece’s startup sector is healthy. With their reputation growing, we soon might see people emigrating to Greece to join the burgeoning tech scene.